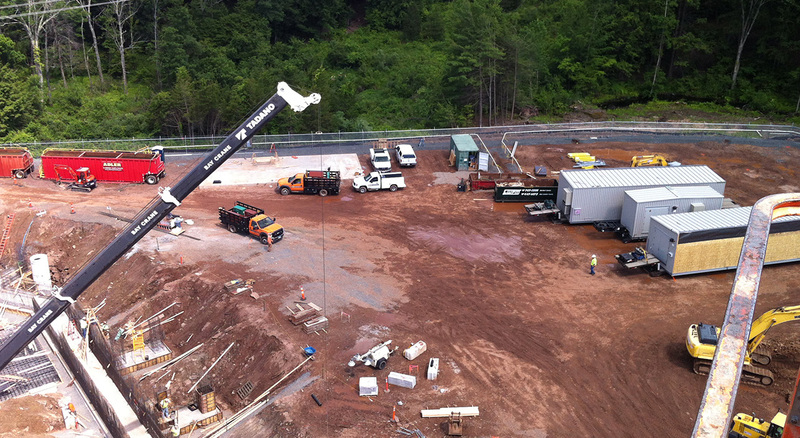 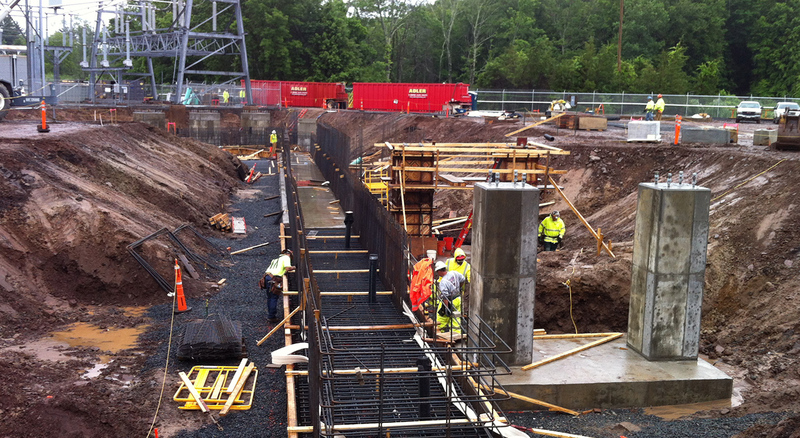 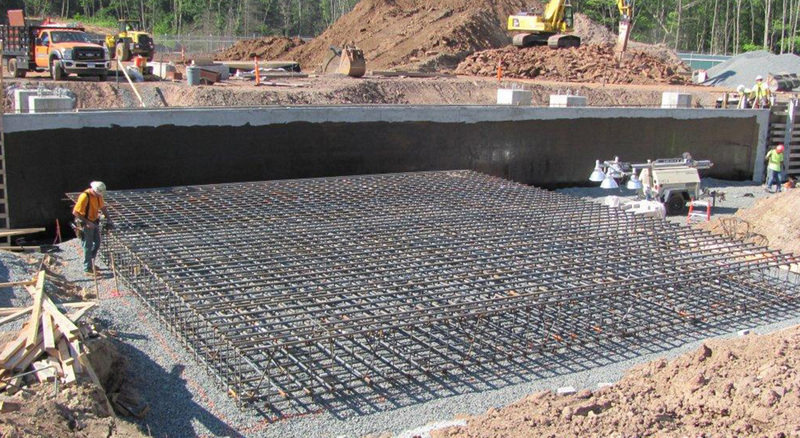 This 345 kV substation yard expansion was part of the Greater Springfield Reliability Project, designed to improve transmission system reliability and ease transmission bottlenecks in the greater Springfield and north central Connecticut. 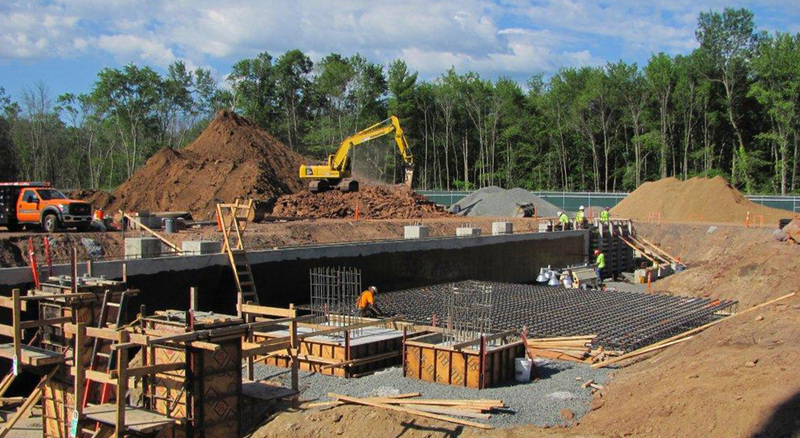 To deliver this critical project, BOND was engaged to perform several key upgrades. 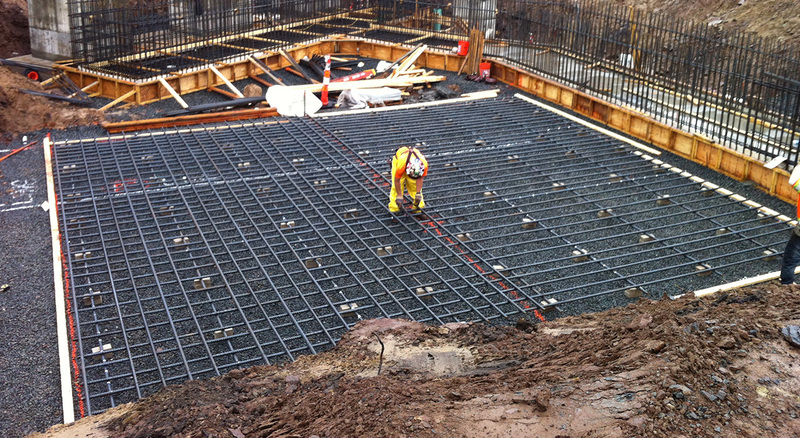 The scope of work included: the removal of the existing foundation and the construction of new equipment foundations within the existing 115 kV substation yard, a new gas insulated transmission line concrete envelope structure and associated support foundations within the 345 kV yard expansion area, the construction of 150-new equipment / bus support foundations within the 345 kV yard expansion area along with associated ductbank and grounding, and the placement of yard stone surfacing.